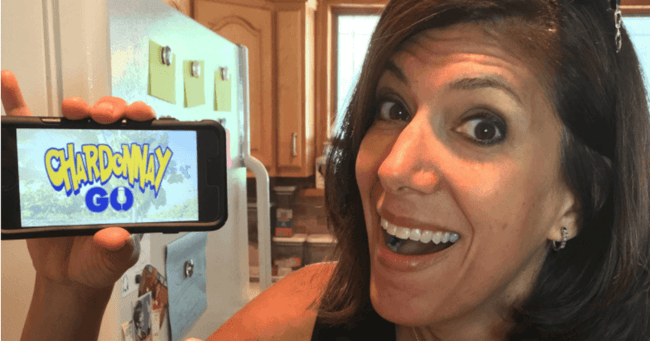 Chardonnay Go is Pokémon Go for mums... and all of us. There’s a new game taking over the world. And no, it’s not Pokémon Go. Mums everywhere (and actually everyone who likes wine) are all about the new trend. Or they would be, if it were real. For now, they’re just all about the above video, which has gone viral for obvious reasons. The “app’s” mastermind is Dena Blizzard, comedian and creator of off-Broadway show One Funny Mother. The game is quite simple: shadowed glasses of Chardonnay appear on your screen for you to chase, and drink IRL. Just imagine if it were real. Chardonnay could pop up from anywhere: when you were driving your kids to school, or heading to your niece’s first communion. Even when you were walking the dog. There’d be women crawling over lawns, crowds of drunken moms causing traffic shutdowns in search of rare glasses… and Chardonnay… everywhere. Who knows what it could lead to. The original Facebook video has been viewed over 22 million times. If that’s not incentive for a developer out there somewhere, we don’t know what is. This post originally appeared on Flo and Frank and has been republished with full permission.